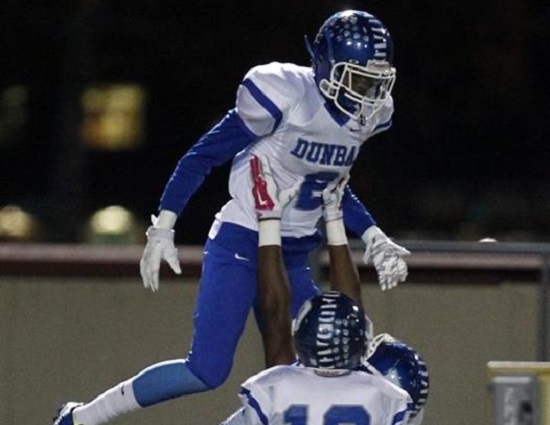 Bowling Green added to its 2016 class when Dunbar wide receiver Terrance Landers verbally committed. The senior wideout decided on the Falcons over Iowa, Kent State, Miami (OH) University, Ohio, Pittsburgh and Purdue. According to Dunbar coach Darren Powell, Landers was planning to visit West Virginia and Pittsburgh before the season was out, but instead decided on Bowling Green before the month was out. Powell said Bowling Green will be getting a leader on the football field next fall. Powell expressed that Landers has the ability to open up the offense and really be that big play threat many offensive coordinators look for in a wideout. According to Yahoo Rivals, the 6-feet-4 senior is a three-star athlete, ranked 58th in the state among the 2016 class. This season he leads the team with just over 550 yards, and has gained over 2,000 yards in his career. As a junior, Landers was voted City League offensive MVP, and honorable mention All-Ohio. Landers chose football over basketball as Landers is a three-year starter for Dunbar, and helped the Wolverines to the Division II state final four as a junior. He is the cousin of former Wayne defensive lineman Robert Landers, who is currently a freshman at Ohio State. Landers becomes the fifth player from Ohio to commit to Bowling Green, including Springboro quarterback Elijah Cunningham. He joins a Bowling Green offense that is currently ranked second in the FBS (I-A) in passing yards per game with just over 434 yards, and ranked fourth in total offense. They are 6-2 and in first place of the Mid-American Conference East division. Bowling GreenDarren PowellTerrance Landers Jr.